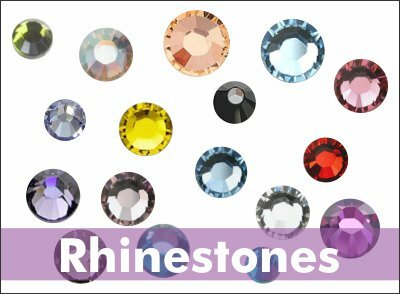 High Quality Korean Rhinestones made of molded glass that produce highly reflective vibrant and colorful rhinestone transfers. Available in several color choices. Consistent shape, size and quality makes certain your production runs smoothly and ensures your rhinestones fall into your stencils shiny side up. Premium green back adhesive provides reliability and long lasting durability. Easy Application, just follow these easy instructions . 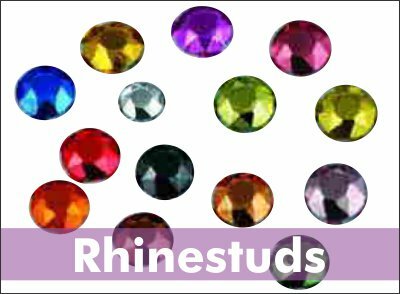 High Quality Korean Rhinestuds made of aluminum in the same shape as rhinestones. They are available in several colors and produce vibrant and colorful transfers. Premium adhesive provides reliability and long lasting durability.